Though many patients are anxious about going to the dentist, avoiding this important bi-annual appointment isn't the best choice if you want to preserve your dental health. The longer you avoid getting help, the worse a dental problem will become over time. Take note of these five signs that you need to see your Kalamazoo, MI dentist Dr. Mark Richardson in the near future (or immediately) for an exam, cleaning or treatment. One of the clearest signs that you should visit the dentist is when you have an intense and unbearable pain in your mouth. 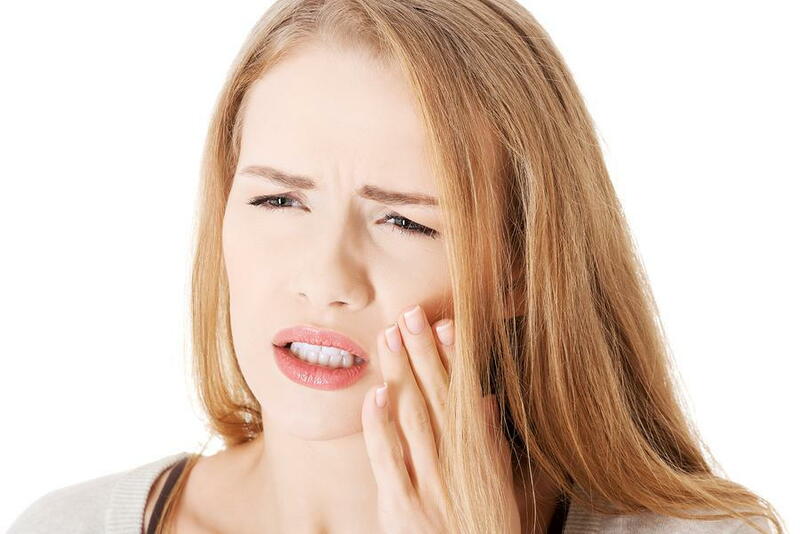 The pain could be an abscess, decay inside of a tooth or a wisdom tooth that's growing in incorrectly. In all of these cases, it's best to get the issue treated as soon as possible. In fact, you shouldn't wait until the pain is really bad—go to your Kalamazoo dentist as soon as you feel any sensation of pain in one or more of your teeth. If a tooth is so sensitive that you avoid drinking or eating hot and cold beverages for long periods of time, that is a sign of a problem that should be looked at by a dentist. Temporary sensitivity is common, but when it's persistent there could be nerve damage or enamel erosion. A badly colored tooth is a cosmetic problem that can be fixed in one or two visits to your Kalamazoo dentist. Simple solutions for discolored teeth include professional bleaching treatments, veneers and crowns. The suggested treatment will depend on whether the stain is extrinsic (on the surface) or intrinsic (at an inside layer of the tooth). Gum disease is a condition that affects over half of all Americans according to CDC estimates. An early sign of this problem is bleeding gums. If you see blood when brushing your teeth, make an appointment with Dr. Richardson for an examination. The American Dental Association recommends that you see a dentist twice per year. If it's been over a year and you haven't seen a dentist, now is the time. When you go to regular appointments, we can catch dental problems early before they turn into more serious conditions. You can relax knowing you're in good hands when you visit the office of Dr. Mark Richardson, your Kalamazoo, MI dentist who has a genuine concern for the long-term dental health of his patients. Call (269) 343-6907 today to speak with a friendly staff member and schedule an appointment.